Albany, US, 2019-Feb-11 — /EPR Network/ —There has been a significant rise in the demand for aloe vera gel, owing to its remedial, herbal, and medicinal properties. Extensive utilization of aloe vera gel in several industries such as food and beverages, personal care, cosmetics, healthcare, and baby care have further propelled the demand for aloe vera gel. Increasing trends to use aloe vera gel as dietary supplement, on back of its property to offset skin and hair related problems is anticipated to drive the demand for aloe vera gel at a global level. In order to offer valuable insights on the aloe vera gel market, a report has been recently published, titled as, “Aloe Vera Gel Market: Global Industry Analysis 2013-2017 and Opportunity Assessment 2018-2027”, which has been updated in the broad repository of Market Research Hub (MRH). Inclination of consumer towards natural products containing nutritional value has been one of the strong driving factors for the growth of aloe vera gel market. Asia Pacific is anticipated to remain a dominant region for the growth of the market, owing to expansion of healthcare and cosmetic industry in this region. 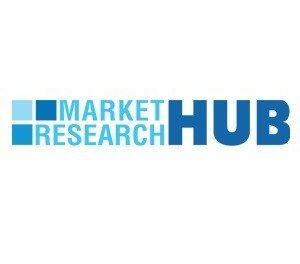 Aforesaid factors collectively are projected to aid the aloe vera gel market record a remarkable CAGR of over 7% through 2027. The study commences with a detailed executive summary of the aloe vera gel market. The report comprises of a descriptive overview on the market that presents key definitions related to the aloe vera gel market and its dynamics. Besides a comprehensive description on major demand drivers for the market, the study also incorporates key restraints, challenges, threats, and opportunities that influence the market growth. The report offers valuable insights on the macroeconomic and microeconomic factors that influence the market growth. The study has been forecasted for the duration of 2018 – 2027 and historic data from an assessment of period 2013 to 2017 has been included in the report. Market evaluation has been done in terms of value (US$ Mn). Key inclusions of this report – Supply Chain Analysis, Pricing Analysis, Cost Structure, etc. have been highlighted in the weighted chapters of the report, which will help the stakeholders of the market understand the overall share of the global market. A detailed taxonomy of the global market has been presented in the report, depending on the region, end user, distribution channel, and nature. An in-depth analysis on the aloe vera gel market has been included in the report on the basis of the geographies analyzed – Latin America, North America, Eastern Europe, Western Europe, Japan, Middle East and Africa (MEA), and Asia Pacific excluding Japan (APEJ). The report sheds light on the historical market size for each of these regions and analysis, depending on the segments of the market have been highlighted in the report. Behemoths of the market comprise of Aloe Laboratories, Inc., Terry Laboratories, Inc., Lily of the Desert, Aloecorp, Inc., Patanjali Ayurved Ltd., Pharmachem Laboratories, Inc., Herbalife International, Inc., L’Oréal S.A., Aloe Farms, Inc., Foodchem International Corporation, Natural Aloe De Costa Rica, S.A, Real Aloe Solutions Inc., Aroma Treasures, Now Health Group, Inc., a Improve USA, Inc., Fruit of the Earth, Inc., Forever Living Products International, Inc., and Nature’s Essence Pvt. Ltd. A comprehensive analysis on each of these prominent players, apart from their revenue shares, recent developments, SWOT analysis, and key trends have been included in the report.